Watch any horror film, and you’ll learn one absolute truth. Things tend to go horribly awry whenever someone suggests that the protagonists split up. In the world of Eli Roth and M. Night Shyamalan, flying solo is perhaps the quickest way one can end up with an axe in the back. With that in mind, why don’t you spend this Halloween playing games What If Zombies Struck On Halloween? Be Prepared With These Games! What If Zombies Struck On Halloween? Be Prepared With These Games! These three games that will teach you the skills you need to ensure that this Halloween is a bite-free one. Read More with a slightly social twist? Facebook is a great platform for gaming with friends, and there are some incredible games to play this Halloween. Here are some that you will really dig. Picture the scene; Your grandfather has been incommunicado for a few days. Being the dutiful granddaughter you are, you decide to show up to his ramshackle house. When you get there, you are confronted by an ethereal specter of your beloved grandparent (who shares more than a passing resemblance to Professor Wheato) imploring you to get out of his house immediately. Which, obviously, you do. Just kidding. You press forward into your granddad’s house, investigate his disappearance, solve puzzles and collect coins, with the aim of defeating The Dramatist; the principal adversary of the game. Meet Ghost Saga; a really enjoyable story-driven puzzle game, with a charm that makes it immediately endearing to everyone, young and old. Combat is simplified to a fault, having being reduced to just clicking on your enemies a few times. With that said, the artwork is lovely; the music is pretty incredible, especially for a low-budget browser-based game. Gameplay isn’t sacrificed in favor of getting you to harass your friends to play. These factors make Ghost Story a formidable and compelling little game, with a lot to offer even the most casual of gamers. One of the most wildly popular TV shows around right now is The Walking Dead, and for good reason too. The writing is fabulous, and not since the likes of Threads has there been such a gritty, visceral painting of a post-apocalyptic future. 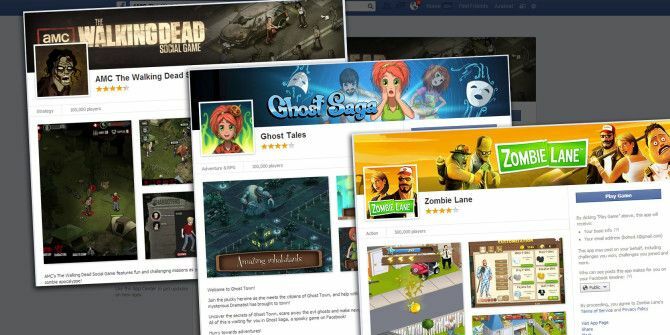 Capitalizing upon the success of the TV show, AMC have released The Walking Dead’s very own Facebook Game The Top Five Idle Time Facebook Games The Top Five Idle Time Facebook Games Read More , which plants you into the thick of post-Z-day Atlanta. Each game starts with creating your very own character, with the default somewhat resembling Burt Reynolds . Gameplay predictably consists of crouching, scavenging and going all Babe Ruth on the skulls of any zombie which makes the mistake of crossing your path. It’s a violent affair; more so than Ghost Saga. Despite still being firmly rooted in the realms of fantasy, I wasn’t less keen on the dialog boxes presented after you crush the brittle skulls of walkers, informing you that you killed the reanimated corpses of your real-life, honest-to-god friends. That actually made me feel pretty uncomfortable. The Walking Dead: Chronicles is a great way to pass an afternoon. With that said, it’s not for a younger audience. Eddy Grant was all about rocking down to Electric Avenue, but he didn’t mention anything about Zombie Lane. Which is a pity, because it’s a really entertaining casual game. Like most Zombie games, the narrative begins with the player being dumped into the middle of a Zombie Uprising. To progress in the game, you have to complete the assignments that you are given by a mustachioed, pepper spray wielding mall-cop. These tend to be either salvage missions where you look for supplies and equipment to keep the hordes of reanimated corpses at bay, or simple disposal missions where you shoot anything that moves. In addition to that, you also have to perform all sorts of mundane tasks, including rebuilding your home, picking up litter and searching for your pet dog. Zombie Lane has its charm, but still feels pretty unfinished. Animation is jerky, with combat looking like a ‘website under construction’ gif from the 90’s. In addition, the soundtrack also feels irritatingly reminiscent to that of the Adams Family. 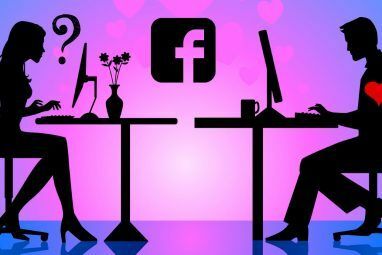 There’s also an incredible emphasis on getting your friends involved, including various implications to share XP and ‘tips’ with your friends on Facebook, as well as inviting them to join you in the game. Despite that, it is still incredibly playable without making you become a pariah to all your pals. This game offers a happy medium between the zombie-splatting mayhem of The Walking Dead : Chronicles and the puzzle solving of Ghost Saga, and because of this, it is highly recommended for anyone who fancies a more laid back gaming experience. There are some really incredible games here. Are there any I’ve missed out on? Any you want to recommend? I’d love to hear your thoughts! Let me know in the comments box below. Explore more about: Facebook, Halloween.